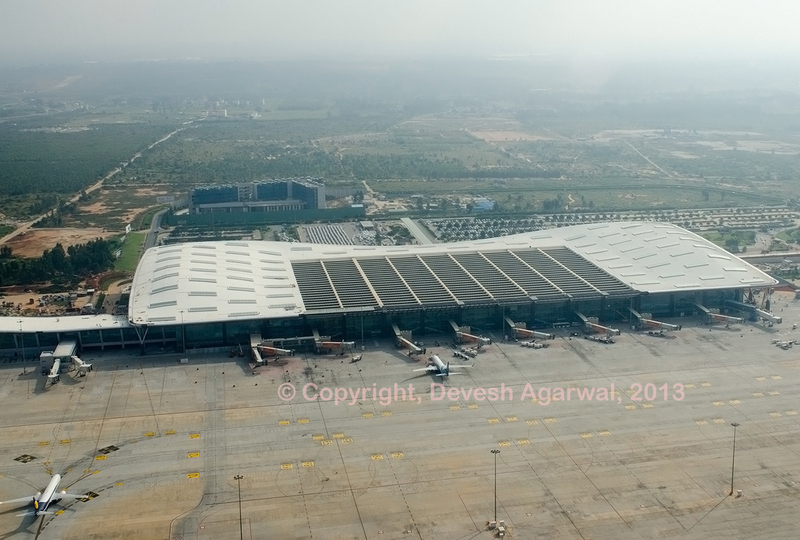 Home >> Airlines >> IndiGo >> Indigo first quarter FY2018-19 results analysis. Industry losses ahead? IndiGo ATR72-600 VT-IYA. Photo by Vedant Agarwal. Copyright. Do not re-use. Indigo first quarter FY2018-19 results analysis. Industry losses ahead? India’s largest domestic carrier, Indigo, has sent tremors in the aviation community with its first quarter results for the fiscal year 2018-2019 which ends Match 31, 2019. An airline, normally delivering nine and 10 figure profits (in the hundreds of crores or billions), reported a minuscule ₹27 crores (₹270 million) as its profit after tax; and this, for a traditionally strong quarter. The results are a plunge of almost 97% compared to the same quarter a year ago. Worst still, our analysis indicates that this weak number includes non-operational income, indicating that operating profit was even weaker!!!! Revenues were higher by 14.5% compared to the same quarter last year but costs rose by 40.5% for the same period. The increase in costs is driven by three pillars of fuel, foreign exchange, and fleet. EBITDAR (earnings before interest taxes depreciation amortisation and rentals) margins compressed 16.7%, while profit declined 13.7%. The overall profit declined a mind numbing 96.6% compared to the same quarter last fiscal. *RASK/CASK is Revenue or Cost per available seat kilometre. As reported in our fourth quarter fiscal year 2018-19 analysis, pricing power in the market has significantly diminished. Airlines, especially low cost carriers like IndiGo, operate with the philosophy expecting prices to progressively rise approaching the departure date. The same seat when booked a month in advance will be significantly cheaper when booked a week in advance. However, thanks to competitive pressures, the market finds airlines discounting tickets even till the last day of travel. This is indicative of travel agents and passengers alike waiting closer to the departure date to book tickets, and still getting discounted fares. Since bookings closer to the departure tend to be the less price sensitive corporate travellers, the quality of overall yield is diminished. Yields for the quarter were down 5.4% and only partially offset by higher passenger load factors (i.e. IndiGo made-up a fraction of the revenue loss per seat by selling more seats). Against a falling yield environment, IndiGo’s costs grew, driven largely by rising global fuel costs and the weakness of the Indian Rupee. Fuel costs rose by 54.4% with fuel constituting 40.1% of the airline’s total costs. Employee expenses also grew by 11.9% reflecting organizational buildup and costs related to talent attraction, retention and other benefits. A large expense came on account of maintenance. Specifically, due to the ongoing problems with the Pratt and Whitney PW1100 Geared Turbo Fan powering the Airbus A320neo fleet. Groundings and delays in delivery required IndiGo to fly their existing A320ceo (classic engine) fleet more, as well as induct more numbers of older A320ceo aircraft to augment their fleet. The increased usage advanced maintenance and engineering checks sooner and this hit during quarter one instead of the traditional quarter. The leased fleet which comprises aircraft as old as 14 years also added to maintenance costs. IndiGo used to return its aircraft after about six years and avoid the expensive ‘C’ and ‘D’ checks. With delays in the A320neo deliveries, Indigo extended leases on their existing ceo aircraft and is hit with these expensive checks. To add to the woes, the weakness of the rupee magnified the maintenance costs impact as IndiGo gets most maintenance done overseas. All of this combined led a rise in operational cost of 40.5% including a forex loss of ₹246 crores. We expected Indigo to announce a wide-body order for the A330neo (read – Why Indigo is likely to order the Airbus 330neo) however, this has not yet been announced. The management earnings call transcript indicates that this was posed to management but they neither confirmed nor denied any talks. 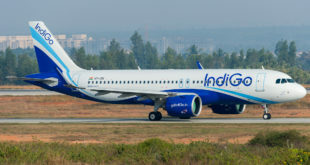 Given the rising cost environment and the falling yields, Indigo may rethink their strategy and delay wide-body flying. The first A321neo (the stretched variant of the A320) for IndiGo has entered final assembly. We expect IndiGo to target mid-range international and high density domestic sectors to be operated with the A321neo. Indigo now has nine ATR72 turbo-prop aircraft and it is not clear whether these are profitable as yet for the network. New announcements on routes to Hubli and Gorakhpur point to a direct war with SpiceJet on these routes (we indicated this in an earlier analysis). 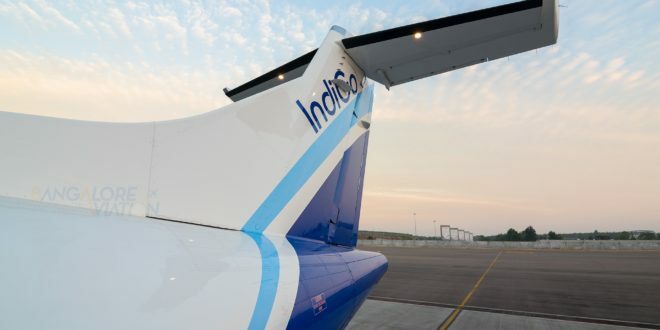 Indigo maintains that it will continue with the ATR strategy to target smaller cities and expand connectivity. Despite these results, it is commendable that Indigo has not changed its capacity growth guidance which is still at 25% in ASKs for the year. We highlight this capacity growth is in ASKs and not fleet which means that Indigo will derive some of this growth by higher utilisation of the fleet. Shifting preferences to “red-eye” flights (to avoid road traffic to and from airports) and flying more international i.e. longer distance sectors are indicative of this. With metro airports saturated, we expect IndiGo to deploy much of this growth towards cities in the South and the East. However, these markets may not have the demand to absorb this capacity, and expect market stimulation by intense discounting. 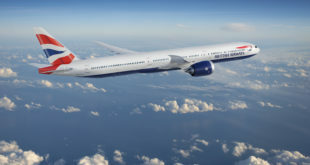 When the market leader and lowest cost player is operating on wafer thin margins of 0.4% in a traditionally strong quarter, we can expect all other airlines to be reporting losses. All in all, this points to upcoming challenges in Indian aviation. As usual, we invite our learned readers to share their thoughts and views via a comment.